Please direct any questions to Colleen Wegimont, PSAHPERD Past-President at [email protected] or (267) 436-1777. Each professional preparation institution may forward ONE candidate for these awards. The Scholarship Committee will select three (3) finalists who will receive registration, lodging, and meal expenses to attend the 2019 PSAHPERD Convention at Spooky Nook on held December 5-6, 2019. Final interviews will be held on Sunday, April 7th online with the scholarship awards presented at the Elmer B. Cottrell Banquet on Friday, December 6, 2019. Candidates must prepare written accounts (maximum two pages) of their qualifications based on the criteria stated above and submit the same to the faculty members responsible for the selection process on the respective campuses. After the institution has chosen their respective candidate, institutions must submit on the online form, one letter of support, a professional headshot, a 100-word maximum qualification abstract to be used for Journal publication, and the candidate’s written accounts addressing the above-mentioned criteria. PSAHPERD offers each professional preparation institution in the Commonwealth of Pennsylvania an opportunity to select ONE student, currently enrolled in her/his final year of undergraduate education, to receive an Outstanding Future Professional (OFP) Award from the Association. Recipients of this award must be members of PSAHPERD for at least two (2) years and be enrolled in a program of study that involves any of the sub-disciplines of health, physical education, recreation, dance and/or sport. The awards will be presented at the Elmer B. Cottrell Banquet during the 2019 PSAHPERD Convention at the Spooky Nook, in Manheim, on Friday evening, December 6, 2019. The OFP Award recipients will receive one complimentary ticket for their banquet meal. A PSAHPERD Committee will interview all OFP Award nominees on Sunday, April 7, 2019 via Zoom call. From the interviews, two nominees will be chosen to attend the 2020 PSAHPERD Convention with their room and registration covered by PSAHPERD. Candidates must prepare written accounts (maximum two pages) of their qualifications based on the criteria stated above and submit the same to the faculty members in charge of the selection process on the respective campuses. Jpeg photo (professional headshot) for the Winter PSAHPERD Journal. The PSAHPERD Student Leadership Conference is a stepping stone to become the leader and professional our field needs! 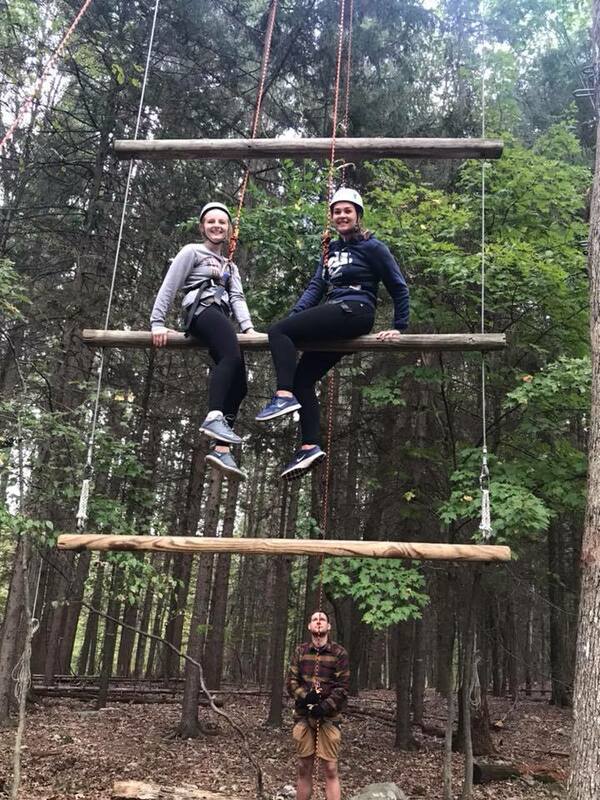 This conference is a combination of team/leadership building activities, physical activity via high/low ropes course, presentations as well as networking opportunities. College/university students within the Health, Physical Education, Recreation, and Dance disciplines are welcome! The $80 fee includes food, lodging, and all activities throughout the weekend beginning with dinner on Friday and ending with breakfast on Sunday morning.